Today we’re announcing another major step forward in the evolution of Faast: the launch of our new Faast Market Maker program. By running a market maker node, you will have the opportunity to earn BTC without having to invest in highly specialized equipment or spending a fortune on electricity. This is a unique opportunity — but it won’t be open to everyone. How does it work, and how can you get involved? Read on to discover how you can get on the waitlist to become node operator and start earning BTC! When you swap one digital asset for another using Faast swap, you are what is called a Market Taker. Of course, in order for that swap to be completed, another party has to fulfill that order. These are known as Market Makers. Market makers play an essential role in both traditional asset trading and crypto trading. Without them, it would be quite difficult to be able to sell any amount of an asset at any time. Of course, there has to be an incentive to become a market maker in the first place, doesn’t there? In the stock market, market makers earn money by selling for a slightly higher price than they bought the asset from the market taker. This difference in price between the “Ask” and “Bid” is called the “Spread”, and this goes to the market maker as compensation for fulfilling the trade. 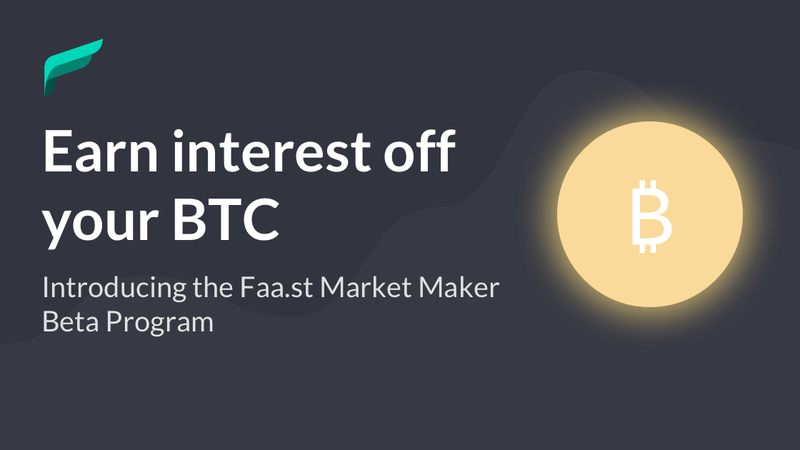 With the Faast Market Maker program, this will be achieved by running a Faast Market Maker node. All you will have to do is download the node software, and start earning BTC on the side by fulfilling swaps on our network. Market makers will be required to deposit BTC with Faast as collateral for security reasons. The maximum amount of value you can fulfill will be equal to the amount you have deposited at any given time. The amount of BTC you can earn will depend on how much you have available on your node, as well as the number of swaps and the time your node was online. Alice is the market taker and Bob is the market maker. Alice has 10 ETH and wants 1 BTC. The market rate is 9.9 ETH to 1 BTC. Alice submits her swap, and her request is routed through the Faa.st API to Bob. Alice’s 10 ETH is sent directly to Bob. Once the 10 ETH transaction is confirmed received, Bob’s market maker node then sends 1 BTC directly back to Alice. Bob sells the ETH for BTC on his exchange account for 1.01 BTC. The BTC is then deposited back to Bob’s node wallet — readily available for the next trade Bob needs to fulfill. Bob earned 0.01 BTC for this swap. In order to get started you’ll just need a computer, the node software and some BTC. While you can do this using a regular personal computer, we recommend using a server to run your node, so it will be online 24 hours a day, allowing you to earn the most BTC. Back in the early days of bitcoin, anyone could earn BTC simply by mining it on their laptop. Bitcoin wasn’t worth much back then, but if you were one of the early believers who earned lots of BTC, there’s a good chance you might be very wealthy by now. Today, you won’t make a dime mining BTC on your laptop. Most crypto trading volume is also carried out through giant centralized exchanges. Faast is a tool that allows crypto trading to get back to its roots and return to that original spirit of decentralization. 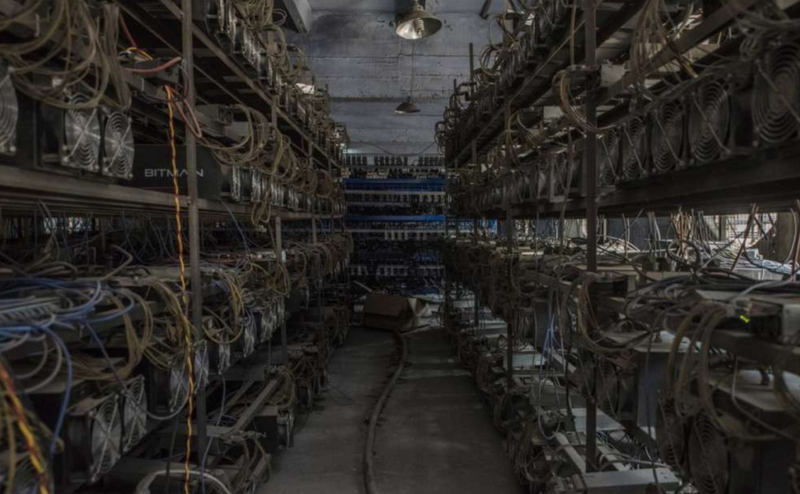 Earning BTC shouldn’t just be a privilege reserved for centralized exchanges and owners of colossal warehouse-sized mining rigs. We’re giving that power back to you. Don’t let the people running these places have all the fun. In order to become a Faast Market Maker, you will have to fill out our application form here. Once you’re signed, up, your name will be added to our waitlist. We will reach out to our selected market makers by the end of Q2 2019. The public beta of the Market Maker Program is scheduled to go live in Q3 2019. What are you waiting for? Are you ready to kick back, watch your BTC holdings multiply, and make crypto trading decentralized again? Then apply to become a Faast Market Maker today. This opportunity will not be open forever, so don’t delay! Once you’re signed up, visit Faast and start swapping over 125 digital assets from the security of your own wallet.